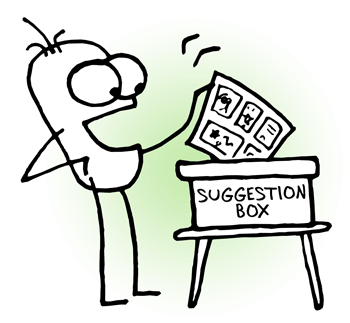 Welcome to the Itchy Feet Suggestion Box! There's no guarantee I'll make your comic. Maybe I already have a bunch of my own planned in advance. Maybe I like your suggestion, but I can't figure out how to make it really great. Maybe I hate it and burn it in a fit of passionate fury. Maybe I just don't feel like it, for no reason at all. Or maybe I do end up making it, but months later! Anything's possible. No guarantees, no promises. If I choose your comic, I will redraw it! This is so it'll fit the Itchy Feet style. 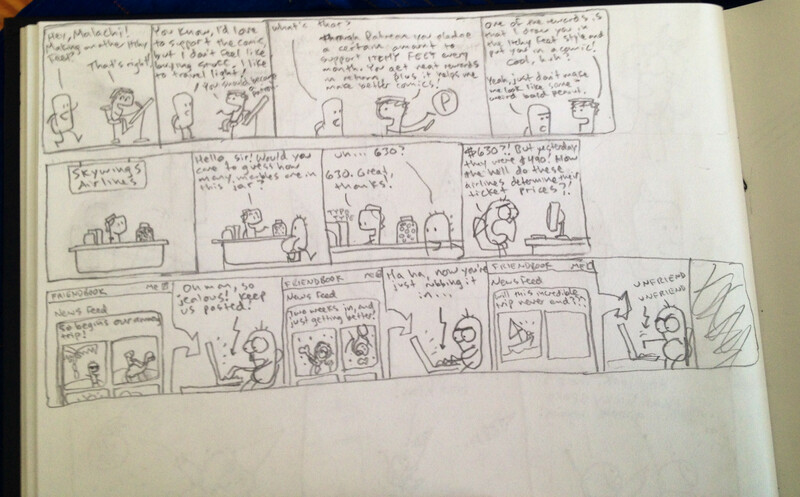 In doing so, I might change the layout, the characters, the dialogue or even the joke. Sometimes it needs a little massaging. Anything can happen between sketch and final strip. If I choose your comic, you will get credit, but that's it. I can't offer any financial compensation, sorry. At least not yet. But I do believe in credit where credit is due, so your name'll go on the final strip (before mine!) and it'll stay there wherever the comic is reproduced (in books, on the web, etc). Be sure to tell me how you want to be credited! If you want to remain anonymous, that's fine too. Just keep in mind that by submitting, you're giving me the rights to use it however I want, forever and ever until the universe implodes. I'll probably use a new little character for each nationality. 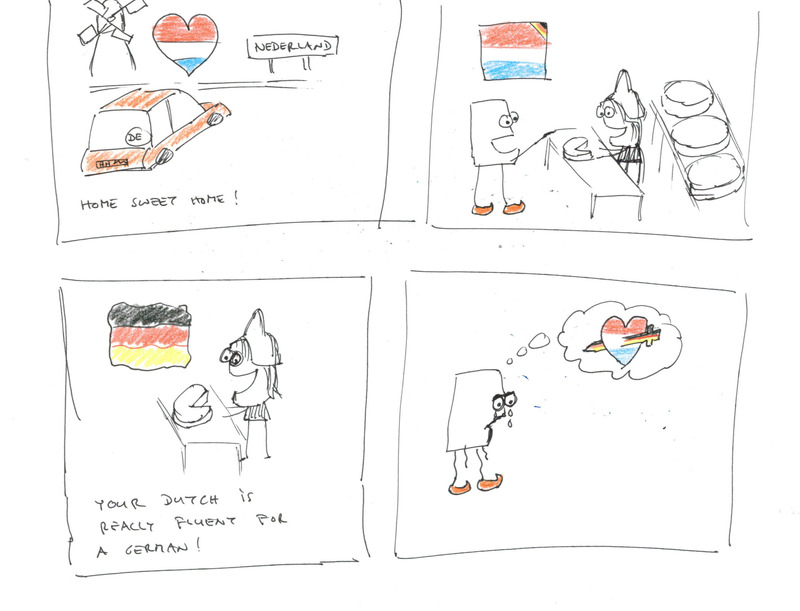 Like the first Suggested comic, "Stories From a Traveling Dutchman," I'll probably do the same with other countries. Each one will get their own little fun Itchy Feet-style avatar, and that avatar will represent that cultural perspective in all future comics, for consistency. Don't forget to attach your sketch and your name as you'd like to be credited!